Before Datastore or InterPlay can import Events that were configured in the AI Enabler, you must have previously defined the Input and Output Event in the Designer. In the AI Enabler, the Administrator uses the Export Finance function to export the AccountingIntegrator Process-Context-In, Process-Context-Out and Input-Events objects into an XML file. Transforms the XML file into configuration files. Imports the configuration files into the Designer. You can then customize the configuration and publish it to the Repository. 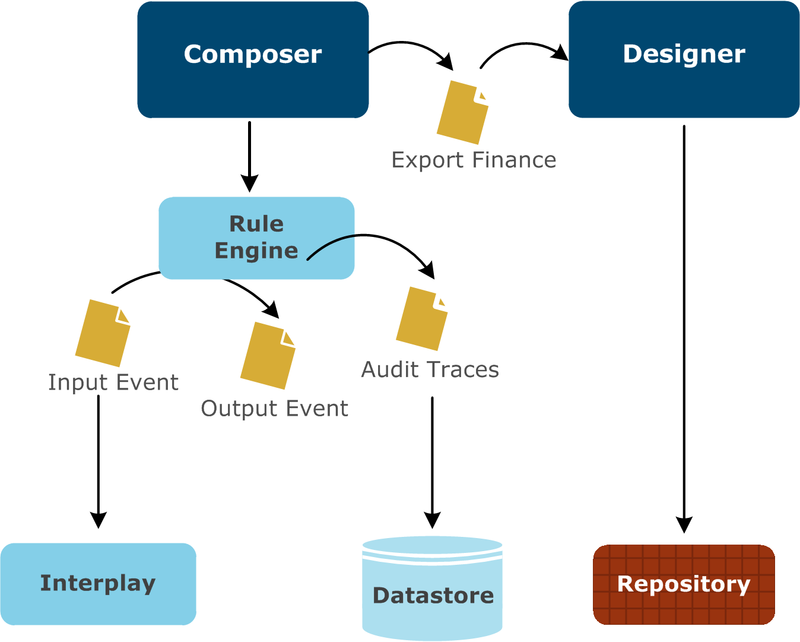 Note The Finance Export file does not define any link between the Process Context-Outs and their associated Output Events. Thus, the Object Type references corresponding to the Ouput Collection Types are empty. You must create them manually and complete the configuration of the readers.